Making his mark on the Australian music scene, Genesis Owusu is continually delivering his own ever-changing and unique style of hip-hop that showcases both his artistic versatility and poetic approach. 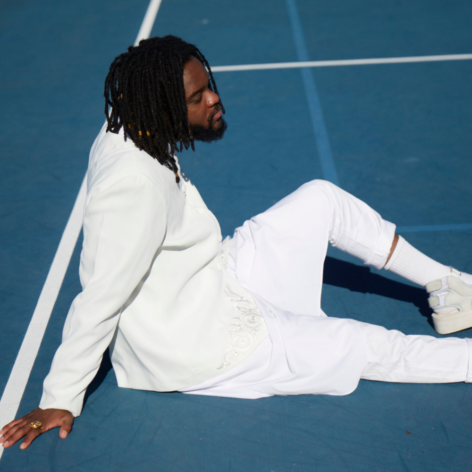 In 2015, Owusu was a top 5 finalist in the Triple J Unearthed High competition; now, the Canberra rapper has already performed explosive live sets at Groovin’ The Moo, Spilt Milk, St. Jerome’s Laneway, BIGSOUND Festival, Meredith Music Festival and Lost Paradise. Genesis Owusu’s notoriety is continually growing, gaining nods from VICE, i-D Magazine, Oyster Magazine, Thank Guard, Pilerats, Tonedeaf, LNWY, AUD’$, Earmilk, FBi Radio and Triple J, becoming Triple J Unearthed feature artist in January/February of 2017.